The businesswoman also served as chairperson for Irish Life and Permanent. BUDGET TRAVEL FOUNDER Gillian Bowler has died aged 64. It is understood that she had been ill for some time. A well known figure in the Irish business community, Bowler also served as chairperson of Irish Life and Permanent. She had founded Budget Travel in her early 20s in 1975, along with her husband Harry Synder. She sold 90% of her stake to UK group Granada in the late 80s before selling the other 10% in 1996. 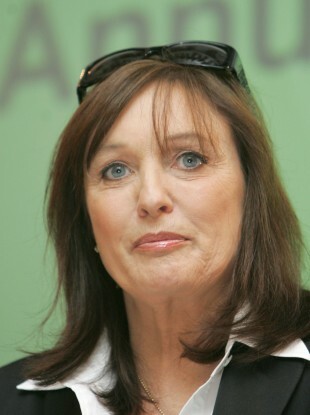 Bowler was appointed to the board of Irish Life and Permanent in 1998, before stepping down from her position in 2010. Clickandgo.com CEO Paul Hackett told TheJournal.ie that she was “a very warm person” who was a pleasure to work with. “Working alongside Gill and her husband, Harry, at Budget Travel was like working for one big family,” Hackett said. Shaun Quinn, the CEO of Fáilte Ireland, said: “Gillian was a very dynamic, effective and truly inspirational Chair who successfully guided our organisation during its early formative years with her unique blend of insight and enthusiasm. She survived by her husband, Harry, and her step-daughter Rachel. Many have paid tribute to Bowler, posting their reactions on Twitter. Very sad to hear of Gillian Bowler's death. I interviewed her once, lovely lady. Fantastic business-woman. RIP. According to rip.ie, a celebration of Gillian’s life will take place in Mount Jerome in Dublin this Saturday at 10am. Email “Budget Travel founder Gillian Bowler has died aged 64”. Feedback on “Budget Travel founder Gillian Bowler has died aged 64”.